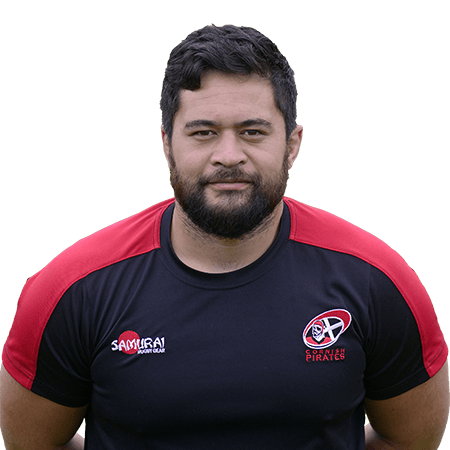 Bolstering their front-row options in January 2015, the Cornish Pirates signed Marlen initially on a short-term contract from Weston-Super-Mare. Auckland-born, in his youth Marlen represented New Zealand Secondary Schools, playing in the same side as ‘All Blacks’ Zac Guildford and Sam Whitelock, and he was also a member of the Auckland Blues and Western Force Academies. Much of Marlen’s senior rugby has been played for Nedlands Rugby Club in Australia, and prior to joining Weston-Super-Mare he had also experienced rugby playing for TV Pforzheim in Germany. Marlen made his debut for the Pirates when used as a replacement when the Cornish Pirates recorded a memorable 45-38 points win against Bristol in February 2015. By the season’s end his tally of appearances totalled seven, and he had also scored two tries. What about the last three seasons? Well, taking his games tally to 89, Marlen has certainly more than made his mark, whilst he was also ‘The President’s Cup’ winner in 2017. Nico Coronel so I could have a 6 pack and be over 6ft for the first time in my life. Also to be able to speak Spanish and Italian fluently.